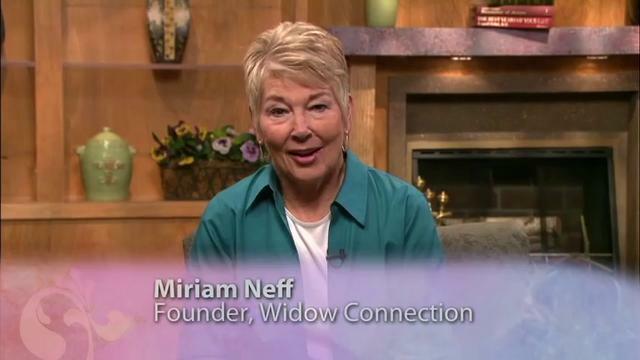 Yesterday Chris Fabry from Moody Radio had a program about the loss of a spouse that featured widow Miriam Neff author of FROM ONE WIDOW TO ANOTHER. Miriam has a program with DVD’s that a widow can use either alone or with other widows. During the program Chris and Miriam spoke by phone with a 25 year old widow with 2 children who lost her husband less than a year ago. She is a new believer going through bankruptcy and is just feeling lost. Here is the link to that program. When you first become a widow your life as you know it completely stops. In fact, you feel as if the whole world has stopped. But, after you bury your husband you notice that everyone’s life around you goes on as if your husband didn’t exist. 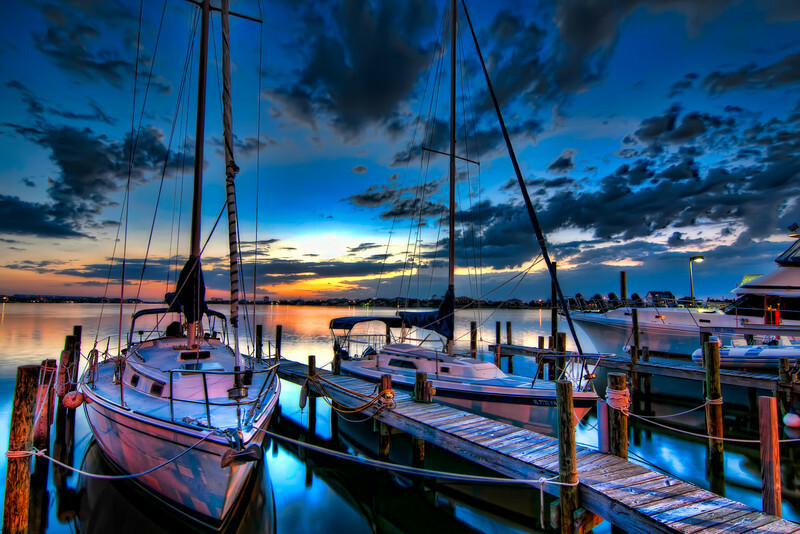 Like a boat, you want to sit safely moored in the harbor and it is okay to do that for a time as you grieve. There comes a time, however, when you have to gather the courage to untie your boat and allow yourself to move out into the sea again. Have you found yourself craving certain foods since the death of your husband? Do you know that food cravings are your body trying to tell you something? Alexandra Jamieson tells us about food cravings and how to determine what they mean. “You know yourself and are your own health advocate, but you don’t follow through with things that you know. You have food cravings or repetitive negative thoughts that keep us stuck. Not only working on the small consistent food switches that help you release pounds, but also the mindset about cravings is important. We really have habits that run our lives. We don’t understand them or know how to stop them. I’ve been able to create simple exercises to keep people in tune with catching those habits and incorporate them easily without a lot of work. You need to feel comfortable and happy in your own body. Not feeling comfortable in your body appears in many ways – you are really hard on yourself and think that you look much worse than you really do and weigh more than you actually do. How good you look is never good enough. This goes to into trying so hard to be perfect. The pursuit of perfection is awesome because it’s wonderful to be brave and try for those things that will light up your soul….to do your best. But, you can get paralyzed by the pursuit of perfection and this can be true of your diet and exercise. If you mess up 1 time, you will just chuck it all. You are really, really hard on yourself. Perfection can derail us. Cravings are part of this because it can really feed into the lack of perfection when you have cravings and don’t really understand them or have tools to deal with them. Different cravings are viewed as bad, something to get rid of, and you need more will power. That means that you believe that your body is bad and not trustworthy. Cravings are just information telling you that your body is just out of balance. They aren’t something that is wrong. It doesn’t mean that you follow every craving or act on craving, but it IS information to get under the surface of what is going on with your body and how your mental state or environment is affecting your body. If you are in a high stress job, commute more than 1 ½ hour a day, or are in a bad relationship, this causes stress, loneliness, anger or static in your body. The body doesn’t like that static. It shows up in your stomach, head, tension in your muscles, pain, discomfort, etc. The body just wants to feel good. There are nutritional deficiencies that cause cravings. 1. Nutritional Sugar – doesn’t necessarily mean you are lacking sugar in your body, but it could mean you have candida. There are more bacteria in your body than anything. Salt – a mineral deficiency. Our diet can be deficient in lots of minerals. Salt used to hold a lot of minerals. Good quality sea salt is gray and wet looking. You need more sea veggies. Main Coast Sea Vegetables are wild harvested and sell condiment shakers that you can just sprinkle it right on your food every meal to get all the minerals that you need daily. The triple flake blend has dulse and is higher in iron. 2. Physical Any discomfort in your body is telling you that if you eat something with sugar in it, you will feel good right now. Proper rest is one of the physical deficiencies….good quality, good quantity (8 hrs.) a day is necessary. This will help your food cravings, metabolism and reduce need for caffiene and sugar during the day. 3. Emotional This is a major component. How were you raised with food? How did your family act around food? Food is the most intimate thing that we share with each other in public. We are taking in energy and sustenance and sharing life together at the table. A craving for true intimacy is behind a lot of our emotional food cravings. The sugar and fat of ice cream makes you feel good and happy when what you are really missing is an intimate relationship and a positive partner. Ask yourself 1 question no matter what craving is coming up or what situation you are in – “What food am I craving? How do I want to feel? What is the feeling that I want? What is my body trying to create with that food craving? Is it relaxation, to be more awake and focused, to just feel numb and space out after a crazy day, to distress? How do you want to feel? Do you want to feel taken care of , relaxed, safe, or cozy? Once you’ve given the words to that, if you are in a relationship, it requires some vulnerability to say to your partner that you are having cravings for sugar right now, but what I really want is to cuddle up with you, talk with you, etc. If you are single, how can you take care of yourself in this moment to give yourself the security to know that you are loveable and give yourself the support that you need in that moment? We have needs that need to be satisfied in other ways besides eating food. The food is really just your body’s understanding of what will help you feel best and fastest, not what will help me get to the place that I truly desire to be in. It is up to you now as a widow to take care of yourself. Grief opens the door to many things and one of those is the hurts that are inflicted on us by others. These are either hurts that are unintentional or intentional. Hurts are a gift that allow us to learn more about ourselves and help us have the opportunity to clear out not only our most recent hurts, but hurts that we have buried deep inside perhaps for years and years. 1. Make a list of people who have hurt you and write out what they did. 2. Choose to forgive. It’s your choice for after all. Holding onto unforgiveness toward them is not hurting them. It’s hurting you. 3. Release all thoughts of ill will towards that person. 4. Pray for that person and feel compassion for them. 5. Give yourself permission to let go of that pain. 6. Leave it to God to take care of that person for God is just. These steps of forgiveness will more than likely need to be done more than once. Forgiveness is a process. There will always be another layer to deal with. Cecily talked about an Hawaiian practice called Ho’oponopono which is defined in the Hawaiian dictionary as “a mental cleansing”. The process begins with prayer. A statement of the problem is made and the transgression is discussed. Each person is expected to work through the problems and not “hold fast to the fault”. One or more periods of silence may be taken for reflection on the entanglement of emotions and injuries. Then confession, repentance, and forgiveness takes place. Everyone releases (kala) each other, letting go. They cut off the past (‘oki), and together close the event with a ceremonial feast called pani. 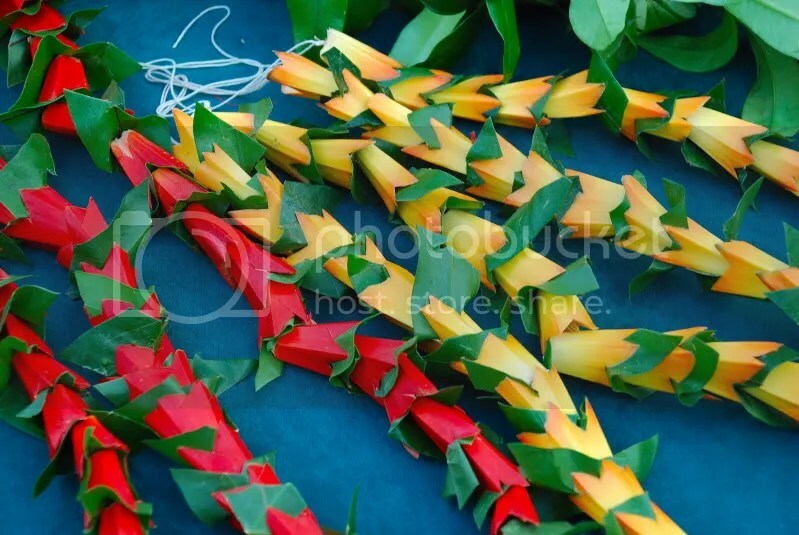 At the close of Ho’oponopono the person forgiven is presented with a lei made from the hala tree whose fruits fill the air with a pleasant aroma like flowers. In making the choice to forgive that person/s who has wronged you, you are emptying your smelly, stinky trash can and replacing it with the aroma of a sweet smelling lei. If the person who has wounded you is no longer living or if the person you need to forgive is yourself, you can also go through this process by simply sitting in front of an empty chair and saying all that needs to be said so that healing can begin. Forgiveness is the key to releasing yourself, cutting off the past, loving yourself and helping you get back to the beauty and sweet smelling aroma of who you are in Christ. Psalm 32 in the Message version talks about how God forgives us and throws garlands of hosannas around our necks. 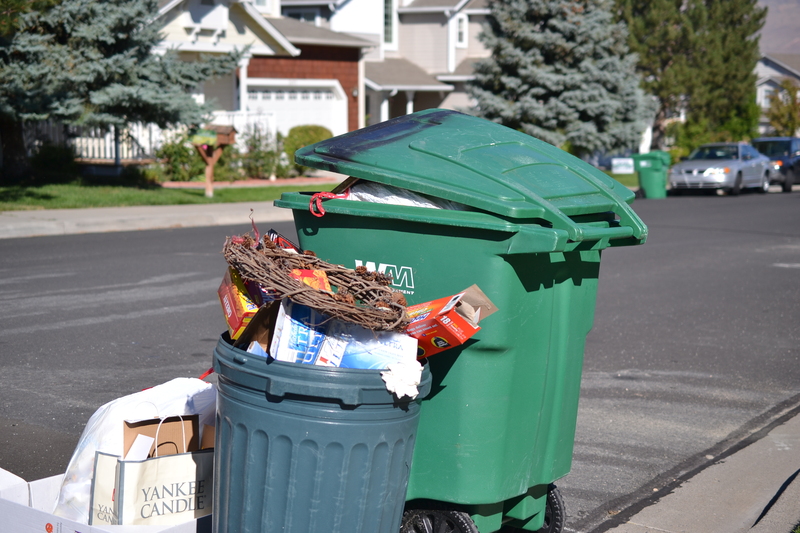 Have you emptied your trash? “Sorrow is one of the natural affections of the soul–not to be uprooted, but cultivated. If we did not feel our losses, we would not be the better for them. Gentle and well-directed grief, softens our hard hearts, and prepares them for the impression of divine truth–just as showers in spring soften the ground, and fit it for the reception of the seed, and the process of germination. As a 9 year old girl, I began taking piano lessons. I loved the piano and used to spend hours practicing…..so much so that my brothers used to beg me not to practice. Later on as a teen I would play for revivals in small churches or for weddings, was full-time pianist in a small country church, and played for a girls trio in college. Then as an adult I got the opportunity to be one of several pianists in a medium sized church. Music has always been a way for me to not only express the deepest parts of my heart in worship, but a way that God speaks directly to me. After my husband died, I could not listen to any music at all for over a year. Bob, who did not love music like I did, had in the last few months of his life suddenly begun to burst into song while sitting in the hospital bed at home or in the hospital. It didn’t matter who was around nor that he couldn’t sing well. The only two songs that he would sing were GOD IS SO GOOD and HOW GREAT THOU ART. I couldn’t join him in song because I could not get those words to come out of my mouth. This song by Point of Grace says it all about what I struggled with for so long and finally realized that the reasons are not to be known to me here on earth. Frankly, I won’t need to know the reasons once I get to heaven. How do we get from where we are now to where we are supposed to be going? The loss of our spouse has stopped us right in our tracks. Our destination is not where it was. Everything has changed on our map and our sense of direction is totally and completely lost. Chuck Swindoll speaks about this in a message he entitled We are Here – Let’s Go There and gives us six guidelines to takes us from where we right now are to where we are going. If you want to listen to it in its entirety, click on the message title. 1. Start where you are and accept reality. “Moses my servant is dead. Get going…..” Joshua 1:2a The Message Guard against denial. Fight against doubt. God will never leave us. Though He may be voiceless, He’s at work. 5. Stay focused on God’s Word to be fueled for every step you take. Stay strong in the scriptures. “And don’t for a minute let this Book of the Revelation (God’s Word) be out of mind. Ponder and meditate on it day and night, making sure you practice everything written in it.” Joshua 1:8 The Message Make sure God’s Word is in your mouth. Speak it. Quote it. The best way to remember this is to hold up your hand and look at your 4 fingers and your thumb. The little finger represents HEARING. The ring finger is READING. The middle finger is STUDYING. The index finger is MEMORIZING. The thumb is MEDITATION which takes spending time in silence and most of us run from silence because we don’t like it. God’s Word, the reliable voice of God, is to stay in your mind to shape your will. “Oh, how I love Thy law (all You’ve revealed to me in God’s Word); I reverently ponder it all the day long.” Psalm 119:97 The Message Staying focused on God’s Word gives us the benefits of shaping our will to God’s, patience, kindness, understanding, a calm view of life and will ultimately help us win the battle of worry. Now I completely realize that when a spouse first dies, there is that time we call “widow fog” when you just simply cannot focus on anything much less remember things. But, I do remember during that time in my life, scriptures that I had memorized long before would pop into my head at the most opportune times. I knew that God was using His Word to speak directly to me about something. When your ability to focus does return, focus on these six guidelines instead of going over and over all that you have lost and what might be ahead.